I am sending this email on behalf of Bart Christner. Over the past couple of years, I have worked with Bart on several occasions to explore ideas for grant funding and to prepare grant proposals. Bart attended a grant development workshop provided by the Office of Resource Development and presented several creative ideas for grant funding that would directly benefit our students. 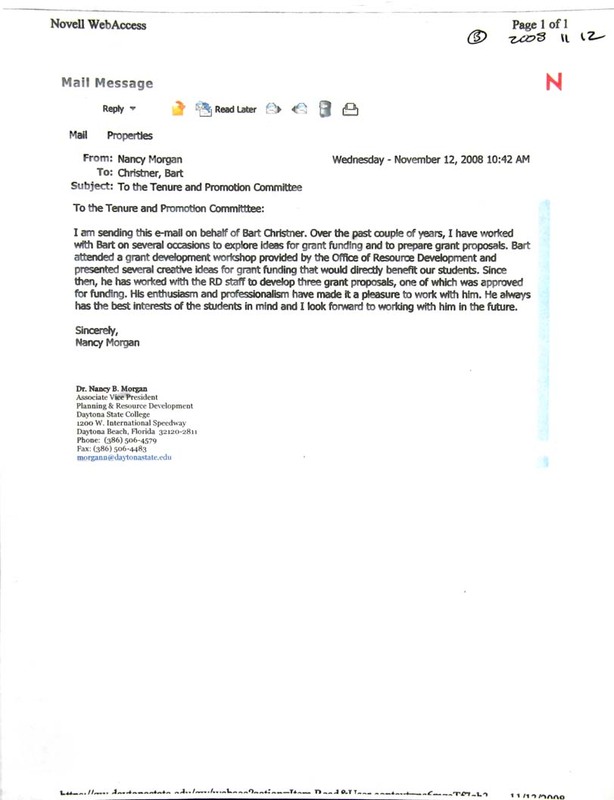 Since then, he has worked with the RD staff to develop three grant proposals, one of which was approved for funding. His enthusiasm and professionalism have made it a pleasure to work with him. He always has the best interests of the students in mind and I look forward to working with him in the future.